A warrant of fitness (WoF) is a regular check that your vehicle needs to meet required safety standards, at the time of inspection. A WOF is required every six months year 2000 and under, and every 12 months for newer vehicles. We can complete a WOF inspection with your vehicle service, saving you time and money. It’s your job to keep your vehicle in warrantable condition at all times. For example, while tyres on your vehicle may pass on the day of your warrant inspection, you’ll need to replace them as soon as the tread gets to the minimum depth. If you wait until the next inspection before replacing them, you increase your risk of having a crash or receiving a fine. We will let you know of any repairs required soon to help you keep on top of this. 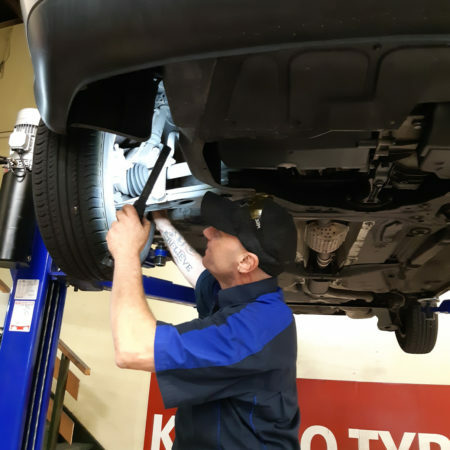 If our WOF inspectors find any issues with your vehicle, the repair work can be completed onsite quickly and efficiently by our team of technicians.